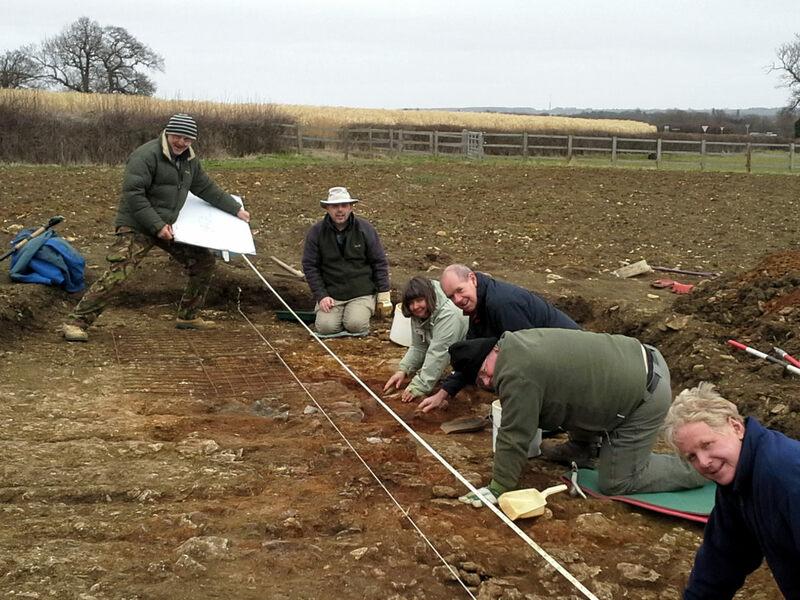 A small area of reddened soil was found in a field to the east of Glapthorn village in Northamptonshire. MidNAG carried out a small excavation, approx 10m by 4m, over two weekends. 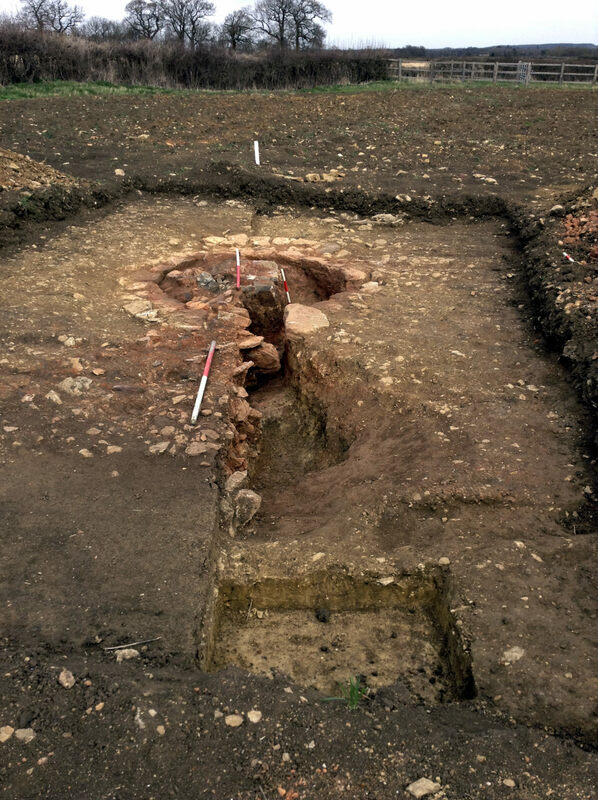 The surviving parts included tamped clayey gravel and stone surfaces around a kiln, the lower 2 or 3 courses of the limestone kiln walls and a central pillar, some ash and small amounts of charcoal around the pillar where the flues had been cleaned out. A stokehole to the west was filled with grey-green ashy material. Curiously, compared to other similar local pottery kilns, there was almost no pottery associated with it.